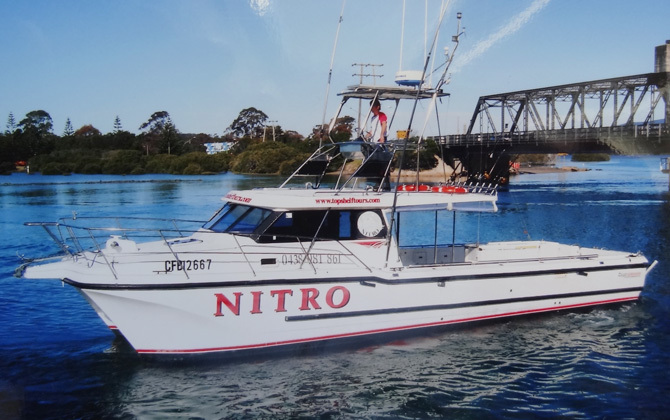 My name is Benn Boulton, I have return from travelling and fishing Australia, to start Narooma Tours & Charter Fish Narooma, I’m the previous manager/operator of Nitro, Top Shelf Tours. 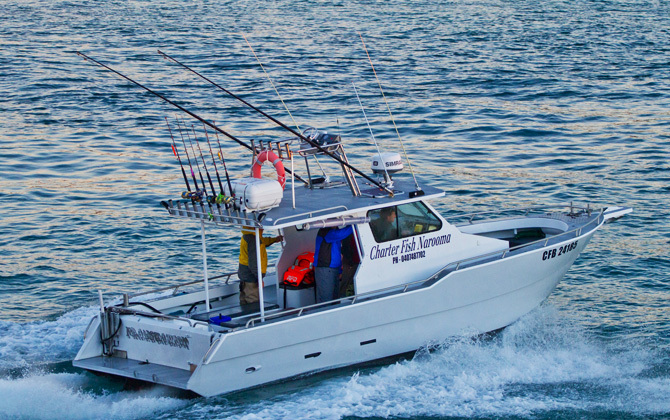 I ran Nitro for 8 ½ years specializing in fishing for kingfish, marlin, tuna, blue eye and all the other reef fish in the area. Growing up on Wagonga Inlet most of my time was spent on the water where my passion for fishing developed. Moving from estuary, beach, to bait fishing then on to lure fishing, with some excellent results, claiming a couple of A.N.S.A records along the way. Then came the start off the blue water fishing for pelagic species king fish, tuna, marlin etc, as well as all the resident reef fish. Loving the ocean and fishing so much, I started working on a tuna long line, rod and reel boat, where we had days catching 40+ tuna a day. Feeling the need to help other people have experiences like mine, I started in the charter and guide fishing industry. Every holidays or chance I had I would head for the NT, for 3 to 5 weeks, barra fishing. If I only had a week or so I would be up a stream somewhere fishing for trout or bass. I travelled Australia with my partner for 5 years, fishing as many spots as possible on the way, trying to find all the best fishing camps, charters and good spots to go. Had some awesome experiences along the way. We needed a second boat, so Nitro was purchased in November 2013. So we are now able to cater for Small & Large groups. We care for, understand and delight in sharing the wonders of the environment. 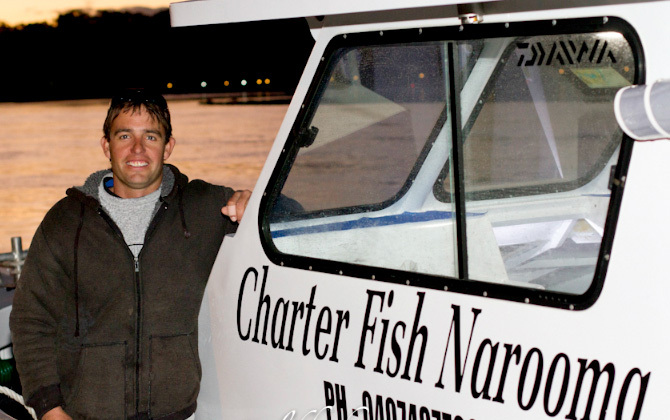 Our team at Narooma Tours and Charter Fish Narooma consisits of passionate locals who grew up in the area. We know all the best places for whale watching, fishing, and snorkeling and Montague Island Guided Tours and we love sharing our little piece of paradise with the world.